oh so nice to find a new endangered post in my RSS reader! thanks, gary! Thanks for the Ernie Barnes article. It is a lovely piece of work and a nice memorial to him and his life. And we thought you were getting some much needed rest! The painting "Sugar Shack" was actually the Sugar Bowl. It was part of a building that stood on the corner of Dowd and Elizabeth. The building stood across the street from where Ellis D. Jones Funeral Home is today. Now there is a private home on that site. Thank you for a great post- as a recovering art student I must day that I always genuinely enjoyed his work, one of the few modern artists that I think is truly unique. Mr. Barnes' work has never been forgotten nor will it ever be forgotten by the african american community in Durham. Having attended Hillside High School, Mr. Barnes was held up to us as an example of what could be accompliced in life. Mainstream America may not have a clue as to who Ernie Barnes was, but there are plenty of african american kids in Durham who looked up to him and saw that a better life was not an impossible thing to have. Thank You for introducing Mr. Barnes to a new generation. Please enjoy your time off, but I am looking forward to see what you have for us next. I agree with Anon that his work has not been forgotten; many of us were introduced to it in the 1970s and have followed it since. As a clarification, I did not mean that everyone in Durham had forgotten Mr. Barnes or his work. I simply meant that he does not get the degree of recognition that I think he deserves. In our broad celebrations of 'things Durham' - through events, visitor materials, publications, etc. - I have not seen Mr. Barnes mentioned as a prominent piece of Durham's cultural heritage. And perhaps there is a racial distinction there, particularly among folks ~ over 50, but I think he should be known to a broad cross-section of the Durham community - young and old, white, African-American, Latino, Asian, etc. I went to the exhibition at NCCU today, and it's quite good. If you're a Barnes fan, you really should see this. The art museum is at Lawson and Merrick. Parking isn't bad if you don't mind walking 4-5 blocks; I parked on Merrick - 5 minutes from the museum. What structure is that in the top left hand corner of the picture? It looks like a school of some sort. Mike, do you mean the top left corner of the aerial photo at the top? That's the greenhouse for the Hill House on S. Duke St. The foundation is still there as part of Orchard Park. More about the gardens here. I thank you for all of the work that you have done to preserve the history of Durham. I now live in Virginia Beach Virginia and have been there for over 32 years. My sister Deidre told me about this site and I frequent it often. Growing up in Durham was a Blessing for me simply because this is where my family was, my roots, and seeing all of the pictures that you have acquired sends me back to when I was a small boy. Viewing my grandmothers house reminds me of a time that I was playing with some friends around the house and accidently fell, resulting in a cut in my head. I have the scar to proove it. There are also some pictures that I have totally forgotten about. When I visit Durham my sister often ask's me why it took me so long to get there. I laugh and tell her that I've been here, I was just driving around reminiscing. Again, what a beautiful job you have done to capture the essence of Durham and I thank you. 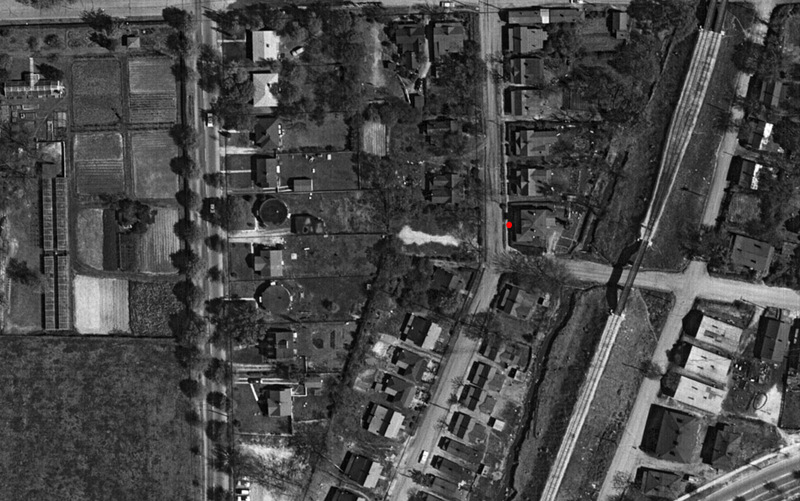 Intersection of Willard St. and Johnson St., 1959 - 1013 Willard is marked with the red dot. 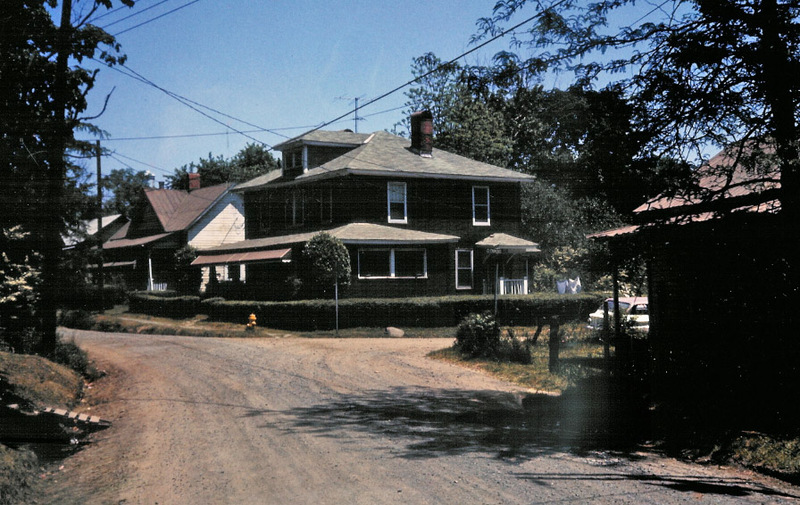 Note the two round houses on South Duke St. for orientation. Ernest Barnes was born July 15, 1938, in 'The Bottoms' section of Durham - an area that sat at the southeastern base of Morehead Hill, along the lowlands of Third Fork Creek. This area, dramatically altered by urban renewal, centered around Willard, Carrington, South, Johnson, and Lakewood - with small alleys and the like extending between the streets. Barnes' father, Ernest Barnes Sr., worked as a shipping clerk at Liggett Myers Tobacco Company and his mother, Fannie Mae Geer, was employed as a domestic for Frank Fuller Jr. Fuller was a prominent local attorney who lived nearby at 702 W. Cobb St.
"about art and life. He would call me into his study and allow me to look through his art books. I enjoyed this room of polished, mahogany walls with leather chairs, shelves of leather-bound books and the sound of classical music. He would tell me about the various schools of art, his favorite painters, the museums he visited and other things my mind couldn't quite comprehend at the age of seven." Barnes thus had an unusual familiarity with the traditions of European art for a child growing up in the segregated South, in one of the most impoverished parts of Durham. Barnes' mother, though, was determined that her son would have exposure to an array of artistic opportunity. He thrived in the visual arts. "She tried to get me to do all the things that would make me a culturally enriched person. She pushed me in the direction of art and music. I took lessons in tap dancing, saxophone, trombone, violin and piano. I was never in class. I was always off somewhere decorating stuff." Per Barnes, he was overweight and extremely introverted making him a target for ridicule from the time he started the first grade through his junior year in high school at Hillside. He kept to himself, and to his sketchbooks. "They hated me. My mother escorted me to school ten times before I could accept the fact that I had to stay there. I couldn't conform easily to the athletic ideal and was made to feel inadequate. I wasn't able to fight, to run fast, nor was I picked for rough games. I was introverted and shy. If there was a day that I did not come home in tears because of a fight, it could be attributed to sickness, the weekend, or it was rained out. I was beaten so severely, my mother requested that I be allowed to leave school fifteen minutes before the other kids, and permission was granted. When I was at home and drawing, I was happy. My senses addressed themselves naturally to the discovery of what I could make happen on paper. It was so easy. From the shrouded mists of my sensitivity, I made friends with lines, allowing them to flow into things belonging to my immediate environment; the trees, clouds, birds and people. In school, nobody laughed and made fun of me when I was drawing. They just watched in silent awe." Barnes began to show athletic ability during his senior year at Hillside, and attended North Carolina Central University on a football scholarship, where he excelled at both football and art, his major. He was drafted into the American Football League, and spent the next five years playing for the San Diego Chargers and Denver Broncos. In 1965, New York Jets owner David (Sonny) Werblin recognized Barnes' artistic potential and replaced his football salary for a year so he could devote himself to painting. "Barnes made his professional debut in a solo exhibition at New York's Grand Central Art Galleries. Soon after, Barnes settled in Los Angeles and approached Benjamin Horowitz of the Heritage Gallery but was turned down "because I was doing sports imagery. A major turning point in Barnes' career came in 1971. Following a solo showing at the Agra Gallery in Washington, D.C. -- hosted by Congressmen Jack Kemp and John Conyers -- he moved to an all-Jewish neighborhood in Los Angeles known as the Fairfax District. Suddenly steeped in a culture that was rich in its own traditions, along with the humor and wit that had allowed its residents to survive poverty and the horrors of the concentration camps, Barnes learned to appreciate the milieu of his own roots - notably, the Segregated South of his childhood that embraced many of the same beliefs and had developed its own culture of coping with the hopelessness of racial discrimination, lack of education, and economic distress. "Fairfax enlivened me to everyday life themes," he says, "and forced me to look at my life - the way I had grown up, the customs within my community versus the customs in the Jewish community. Theirs were documented, ours were not. Because we were so clueless that our own culture had value and because of the phrase 'Black is Beautiful' had just come into fashion, Black people were just starting to appreciate themselves as a people. But when it was said, 'I'm Black and I'm Proud,' I said, 'Proud of what?' And that question of 'proud of what' led to a series of paintings that became 'The Beauty of the Ghetto.'" Barnes' landmark exhibition, "The Beauty of the Ghetto," marked the beginning of his Genre period. In 1972, it debuted at the distinguished Heritage Gallery, before beginning a nationwide tour to museums around the country -- hosted by such dignitaries as Ethel Kennedy, Los Angeles Mayor Tom Bradley, Atlanta Mayor Maynard Jackson, and Durham (North Carolina) Mayor James Hawkins. In 1974, television producer and writer Danny Arnold, who collected Barnes' work, introduced Barnes to renowned television producer Norman Lear, the creator of the hit series, "All in the Family." Lear subsequently commissioned Barnes to paint a series of original pieces for his new television CBS sitcom, "Good Times," loosely modeled the Jimmie Walker character on the artist's life and work, and featured what would become Barnes' most famous work, "Sugar Shack," in the show's opening credits for four years. Many of Barnes' early paintings are scenes of Durham, although they are not expressly labeled as such - but the houses, the Palace Barber Shop, the Roxboro St. underpass - are all familiar scenes of Durham in the 1960s. With the popularity of Barnes' work, bolstered further by the use of "Sugar Shack" as the cover of Marvin Gaye's 1976 "I Want You" album, there was a surge of interest in commemorating Barnes' work in Durham. The Roxboro St. underpass at Roxboro and Pettigrew - with the Hillside Band marching past. The Palace Barber Shop, in the 100 Block of South Mangum St. 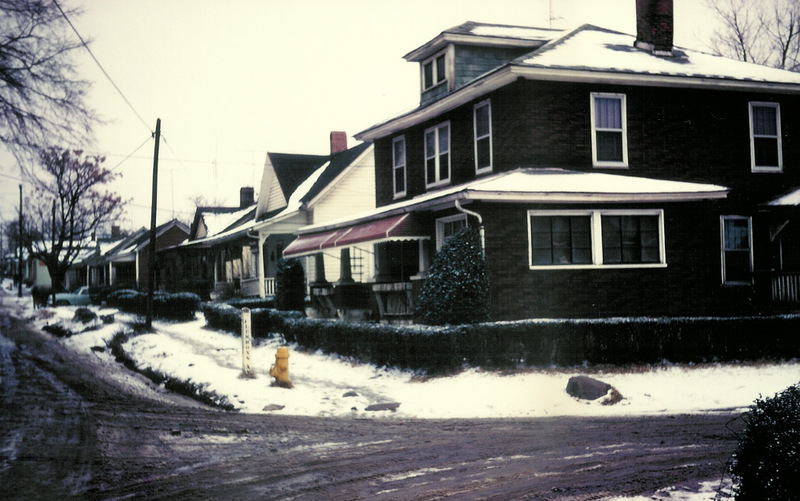 The house where Barnes grew up had been taken by Durham as part of the urban renewal program. An article published in the Morning Herald in 1976 proposed saving the house - potentially by moving it to Fayetteville St. to become part of an arts complex with St. Joseph's. The article, which I've transcribed here, was the unsigned editorial for August 10, 1976 in the Durham Morning Herald. To Ernie Barnes, whose paintings of life on Durham's Willard Street hang in the homes of many prominent people across the country, his home at 1013 Willard ·Street is a symbol. It is the symbol of the life he knew as a youngster, a life that he has described eloquently: "When I was a child, we never knew the area in which we lived was a ghetto. It was home and there was fun to be had. It was an area which incorporated all of the values basic in humanity, dreams, wit, faith, love and a special chemistry which romanced our athletic prowess, earthy humanisms, rhythmic and colorful life style. All of the hardships and struggles were minimized and shared because people believed in God and therefore cared for each other. But besides being a personal symbol, Mr. Barnes, the former professional football player whose artistic talents' have brought him fame, thinks his Willard Street home can be "a symbol for young people who need some sparks to ignite a self-awakening." 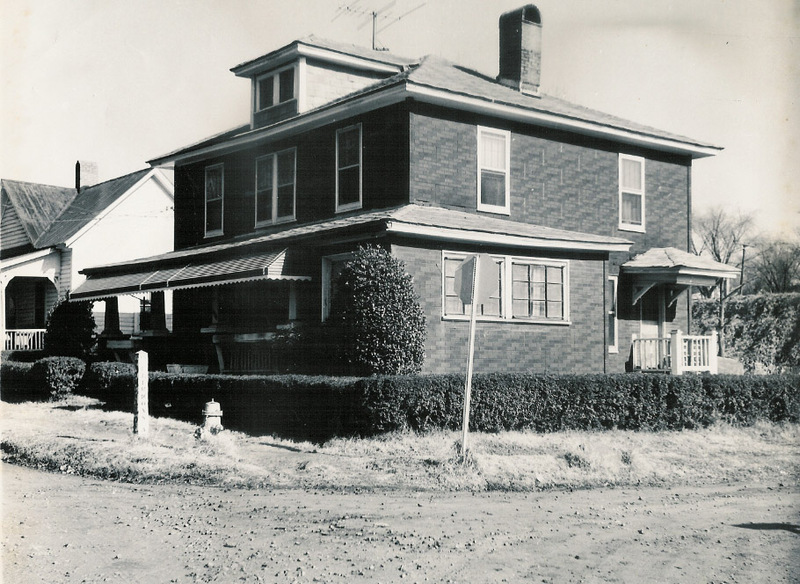 It would be difficult to preserve the Barnes home on its present location. It stands in the middle of an urban renewal area that has been largely cleared and that is eventually to be the site of a new housing development. But why can't the home be moved to another location and preserved as the kind of symbol Mr. Barnes wants it to be and as a showcase for some of his paintings and other works of black art, culture and history? And what better location could there be than a plot adjacent to St. Joseph's A.M.E. Church, a structure that is also located in an urban renewal area but one that is going to be preserved. The church and the Barnes home could even become keystones of a complex devoted to articulating the rich heritage of Durham's black community. Reached by telephone in Los Angeles last, week, Mr. Barnes expressed keen interest in the idea of moving his Willard Street home to a site near St. Joseph's. He said that if an effort to finance the, moving project were begun in Durham he might be able to obtain additional support from friends in Los Angeles. The project would be handled by the St. Joseph's Foundation or by any formal or informal group in Durham that was interested in contributing to the preservation of Durham's past. The talented Mr. Barnes has preserved his Durham past in paintings that have brought pleasure to many people around the country. The preservation of his Willard Street home would make some of those paintings accessible to the citizens of Durham, and it would serve to keep part of Durham's history alive. Barnes' house was not saved, unfortunately. The land would be re-graded, and part of the Bottoms would become an apartment complex on the former west side of the former Willard St. Land on the east side would remain vacant or utilized for a parking lot. Site of 1013 Willard St., 2008. Barnes' popularity in mainstream America would wane after the 1970s - he continued to paint, however. It seemed as if Durham also forgot about Barnes. Personally, I had never heard of Barnes until I ran across the above Herald article ~ 3 years ago. I discussed an effort with several people to bring Barnes' work - particularly his scenes of Durham - back to Durham, to reconnect us, but it never went anywhere. Barnes died earlier this year, on April 27, 2009. I had planned to write this post for awhile - whenever I got back over to this area of Durham - whenever I finally found a decent photo of his house, etc. His death garnered articles in the N&O and Herald, but I still think few local folks know Barnes and his work. I just read, however, that Barnes donated his work to the North Carolina Central Museum, and that it is on display - at least through the remainder of this week. I haven't been over to see it myself, but I hope that includes his earliest work of Durham. I have always been convinced that the Sugar Shack was somewhere in Durham (with its banners for WSRC and Elivra's.) I would love to know where it was.